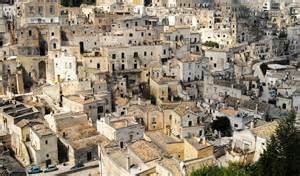 Locorotondo is a wonderful white city in Puglia, Italy. 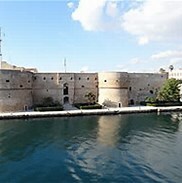 It is located down near the heel of the boot on the Adriatic Sea. 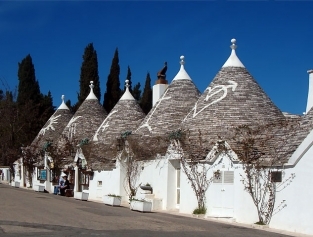 In this entire area you can see Trulli homes (dome-shaped homes). 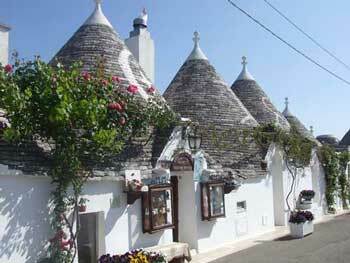 Most people think of Alberobello for Trulli homes but they are located all over this area of Puglia. 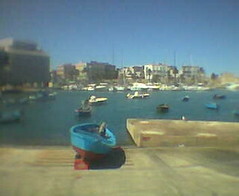 Other great cities in this area are Cisternino, Ostuni and Polignano a Mare (home of the Cave restaurant). These cities are mostly white walls with beautiful flowers to add colors. They are unique places to visit. Each town is small and can be seen in a half to full day. Stop in bars and restaurants and enjoy the local flavors. Come walk with us around Locorotondo in the video below. This is Dolce far niente!